less than 2 minutes from your finger tips." Want to Jump Higher, Hit Harder, and Make Amazing Athletic Plays? So Who am I and Why Should You Trust Me? Hi, my name is Dennis Jackson and I am a volleyball player, trainer, and coach. I am also a Certified Strength and Conditioning Specialist (CSCS) by the National Strength and Conditioning Association (NSCA). This certification is known as the gold standard when it comes to training certifications. 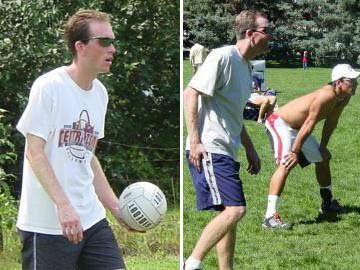 I started playing organized volleyball at 14 years old. 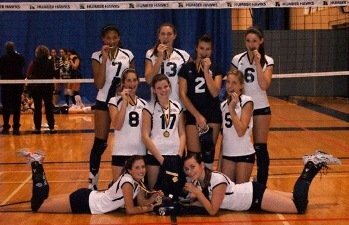 Even though I had competed in organized sports since around 5, I really struggled figuring out how to become great at volleyball. It took me a long time, but I did eventually figure all this out. I thought maybe the answer was to hire a professional trainer (and there was no way I could afford that). I thought I would be forever weak and slow and my vertical would never increase because I really had know idea how to train! I decided to start training and experimenting like a mad scientist in the field of sports strength and conditioning. I finally started to really LEARN how to get stronger, faster, and jump higher. I went so far as to earn the most prestigious certification in the field... I am a Certified Strength and Conditioning Specialist (CSCS) by the National Strength and Conditioning Association (NSCA). Let's just say I won't hear anyone yelling..."TIP, TIP, TIP!" or "Be ready for the roll shot!" Get you noticed by college coaches. Get you blocking high above the net. Give you explosive power for jumping higher and hitting harder. Dramatically increase your chances of being offered a college volleyball scholarship. Get you ready for the brutal two-a-day college volleyball practices. Because FORCING myself to learn how to strength and condition for volleyball is how I got my career started and I want YOU to have the secrets too. What Sports Training Program is Right for You? Learning how to workout for volleyball can be very fun and exciting, especially when your increased strength and mobility allows you to make outstanding plays seem effortless. However, the direction you head at the outset of training is very important. You don't want to be doing the wrong exercises, wasting your time, and possibly injuring yourself. So you think all strength and conditioning is the same? 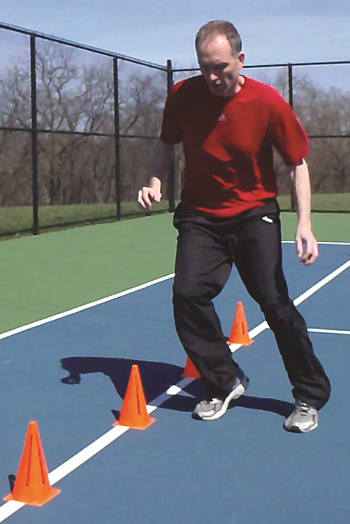 How would you like to improve your vertical jump 4 to 7 inches in the next 12 weeks? How about stunning your coach and shocking your teammates with mind-boggling court speed and superior athletic strength and power? You'll be using highly-targeted, strategic changes in training techniques constantly keeping your body off balance to achieve EXTREMELY RAPID RESULTS. Let's face it...anyone can start mixing things around in their training without any regard to how one thing affects another. This program involves INTELLIGENT change to get maximum results. When you first open up the ebook on your computer, you're going to notice that I don't waste ANY time getting right to the heart of the matter. I'll give you a brief introduction to the book then BAM! Right into the program and how and why it works. I know you don't have the time or the inclination to wade through a 300 page book to dig out the "good parts" that you can apply to your training. You want to know what's going to work and you want to know NOW! This whole book IS the "good parts." This an approach where you methodically train GIVING YOUR BODY NO CHOICE to develop the strength and power you need specifically for VOLLEYBALL. each and every phase of the program builds on the PREVIOUS phase and also sets up the NEXT phase for maximum results. the nutrition and regeneration tips TURBOCHARGE your recovery leading to FASTER gains in volleyball explosive strength and power. EVERY SINGLE TRAINING DAY is laid out for you from sets to reps to exercises and as well as training techniques and rest periods. I've even included detailed notes with training tips to help you get the most out of your training. You will have NO DOUBT how to train to get the best results possible. Also, you're going to notice links to a section called the "Exercise Index." This is where you will find pictures of EVERY exercise technique performed in the program...EVERY SINGLE ONE. Because this program is SO UNIQUE, you NEED to know exactly what you're doing at every stage of the game. The pictures and descriptions will ensure you have NO DOUBT about what you're going to do in every training session you perform. How about training equipment? Do I need to have a gym full of equipment to work this program? To be honest, all you need to really get the most out of this program are dumbells, resistance bands, a balance ball, and a medicine ball. There's NOTHING in this program that requires fancy equipment. In fact, the bodyweight exercises are the most important part of this program. It's HOW you do these volleyball specific movement patterns that really makes the difference. When you're doing the program, you're not randomly firing out sets here and there. EVERY REP of EVERY SET has a specific purpose and that purpose is preparing you to develop STRENGTH and EXPLOSIVE POWER. You see, I'm in the business of helping you get results from your training. I have NO desire to give you information that I don't stand behind 100%. If I were standing in front of you right now, I would look you straight in the eyes and tell you, with no hesitation whatsoever, that if you put this program to work in the way I've laid it out in this book, this information will get you where you want to go in your training. I believe customer service and customer satisfaction are the two most important things when running a business and I want to make sure you know my level of commitment to you when you purchase this book. I also want to take away all the risk to you so you can experience the power of this program for yourself without any worries. I know this is not a small investment for you or something that you take lightly either, so if you're not satisfied with the quality of the information in this book at anytime within the next 60 days, just let me know and I will give you a prompt and courteous refund. As with anything to do with training, you'll get out of it what you put into it. I can give you the best information I have but if you don't DO anything with it, you won't make the extraordinary progress I know you're capable of. All I ask of you is that you give this program an honest try. You WILL be amazed at the results you get. Buy with confidence from Clickbank, the authorized retailer of "Volleyball Strength! - Volleyball Strength and Conditioning the Right Way", where your transaction will be handled by a secure server. Clickbank currently sells more than 10,000 digital products online, and the number is growing daily. 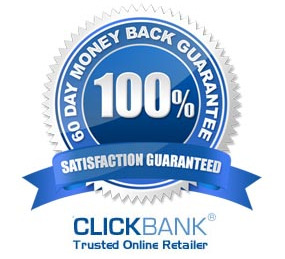 If you happen to ask for a refund, it is Clickbanks policy to send money back immediately. Once you place your order on Clickbank's secure server, you will be directed to a download page, where you can download the program and get started IMMEDIATELY. The next time you go to workout for volleyball, after reading everything that I've told you about here today, will you be absolutely certain that the volleyball training program you are doing is going to give you a 100% return on the hard work and effort you're putting in? You're ALREADY training hard...if given the opportunity, would you gladly squeeze more results out of every single rep you do in your very next volleyball workout without any more effort than you're putting in right now? Do you want the next 12 weeks to be the MOST PRODUCTIVE of your ENTIRE VOLLEYBALL CAREER? You owe it to yourself to get this information as quickly as possible and put it to work immediately. You could be wasting precious time and energy working with volleyball training programs that don't work. 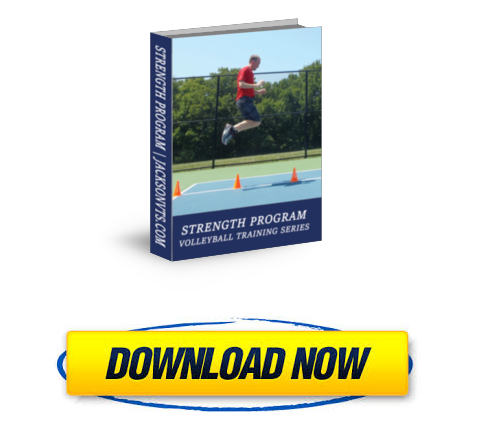 For only $27, you will have full access to the most powerful volleyball strength and conditioning program available INSTANTLY.